Ice could pose a further hazard for parts of the Northeast on Sunday. A major winter storm is set to bring heavy snow from the Midwest to the Northeast this weekend -- with widespread totals of 10 to 20 inches in the interior Northeast. The storm will also bring an icy mix of snow, sleet and freezing rain to parts of the Ohio Valley and Northeast, making travel dangerous in spots. Meanwhile, behind the storm, an intense drop in temperatures will lead to a flash freeze in parts of the Northeast on Sunday night as wind chills dip below zero. The effects of the storm are already being felt on travel. 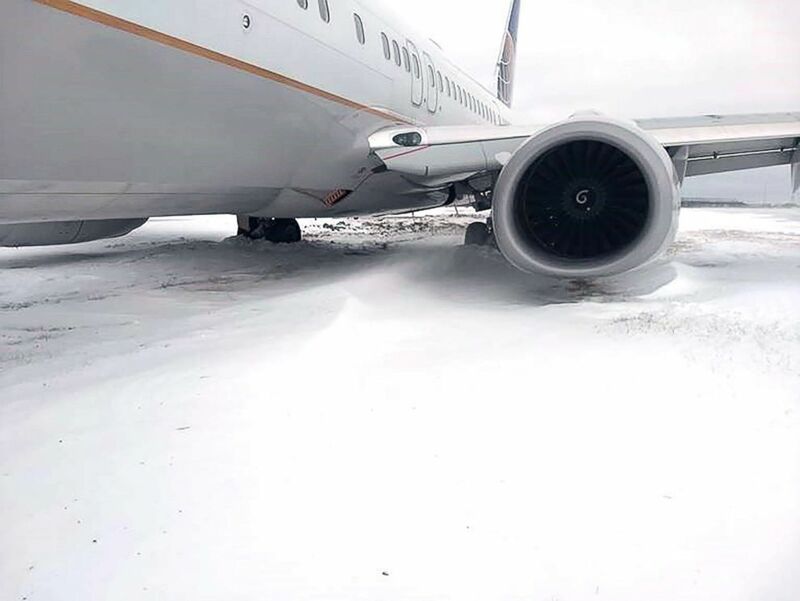 There had been over 1,100 flights cancelled on Saturday as of 6 a.m.
On Saturday night, Amtrak announced that on Sunday, five Acela trains and six Northeast Regional trains will not operate between New York and Boston, according to the Associated Press. Six Keystone trains are canceled between New York and Harrisburg, Pennsylvania. Two Pennsylvanian trains are canceled between New York and Pittsburgh. Two Vermonter trains on Sunday will not run between St. Albans, Vermont, and New Haven, Connecticut. There are heavy bands of snow moving through northern Illinois and southern Wisconsin on Saturday morning. Snow in this region could fall at a rate of 1 inch per hour through the morning. 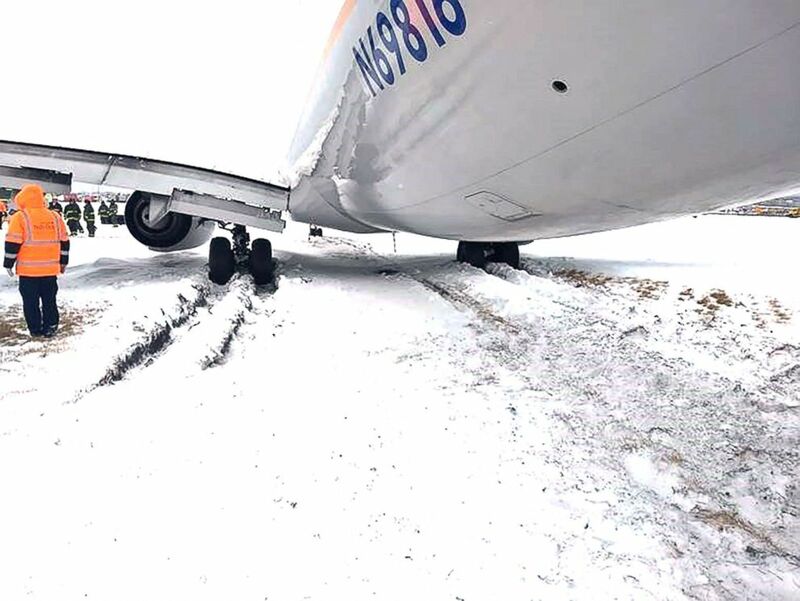 (Chris Smith/WLS) A flight from Phoenix flying into Chicago's O'Hare International Airport skidded off a snowy runway on Jan. 19, 2019. Meanwhile, a line of strong to severe storms is extending south on the warmer side of the storm through Arkansas and Louisiana. Over 116 million Americans are under either an advisory, watch or warning for this major winter storm from Iowa to Maine, including Chicago, Indianapolis, Pittsburgh, New York and Boston. Additionally, new wind alerts and wind chill alerts are being issued Saturday morning. The storm system will organize a little more as it rapidly moves east Saturday, with snow moving along the Interstate 80 and Interstate 70 corridors from Illinois to Pennsylvania and New York. Wintry precipitation will arrive in the Northeast early Saturday evening with snow covering much of the interior Northeast by 8 p.m. Eastern time. Along the Interstate 95 corridor, a complicated situation could unfold, with precipitation mixing with rain, sleet, freezing rain and snow. As the storm pulls away, temperatures will drop 25 to 40 degrees on Sunday afternoon into the overnight hours. Anything that has fallen will freeze quickly on Sunday night. Furthermore, areas that receive rainfall could wash away salt and brine solutions on the road, and make for hazardous travel on Sunday night. All snowfall in the interior northeast will become rock solid and back breaking. 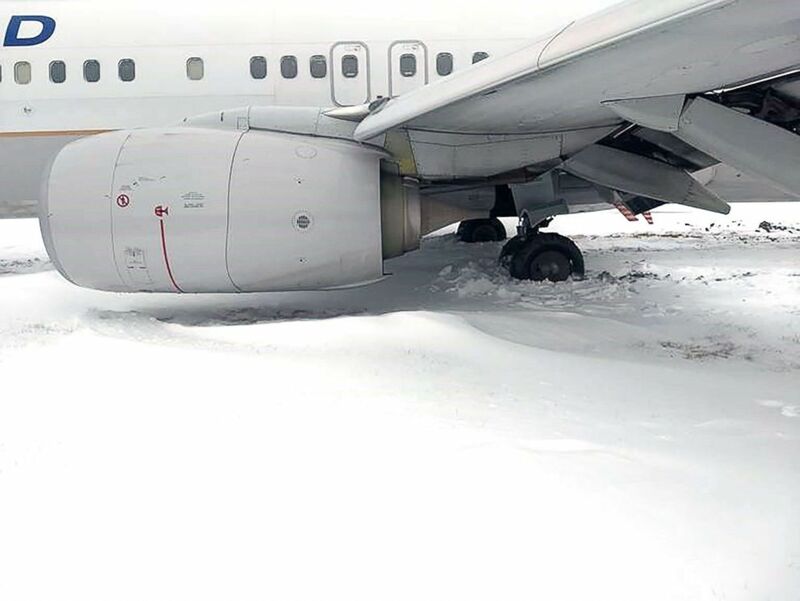 This rapid temperature drop that brings impacts such as this is often referred to as a flash freeze. Snowfall totals in the interior Northeast, particularly across central New York, will likely reach 1 to 2 feet. Widespread totals of 6 to 12 inches are possible from Indiana to Maine north and west of the major I-95 cities. 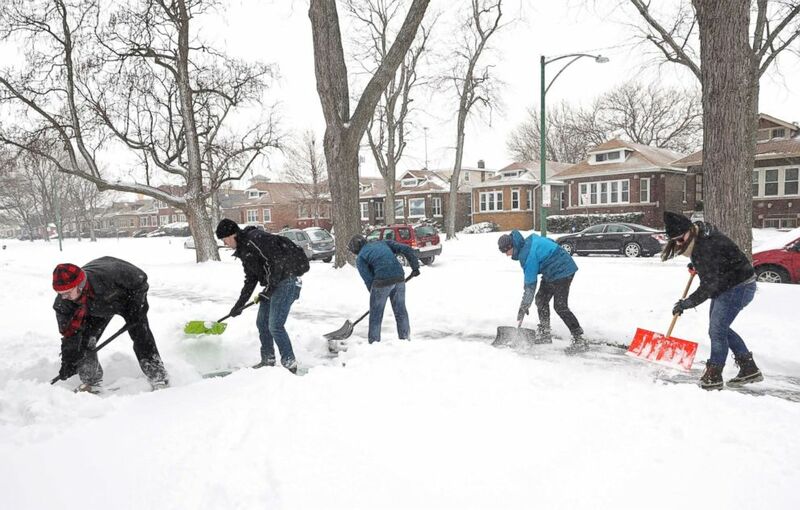 (John J. Kim/Chicago Tribune via AP) Volunteers shovel sidewalks on South Wabash Avenue in the Chatham neighborhood in Chicago, Jan. 19, 2019. Ice will be a major concern just north and west of I-95, including cities like Hartford, Connecticut, and Springfield, Illinois. Ice accumulation of one-quarter of an inch is enough to down trees and power lines. Additionally, as the temperatures plummet, the winds will increase, further increasing the chance for damage. Wind chills in the wake of the storm will be well below zero on Monday morning in the Northeast. With a fresh snow pack, and frozen snow, wind chills of minus 20 are likely across much of the interior Northeast. Wind chills as low as minus 10 are possible in the New York City metro area on Monday morning. Besides the wintry precipitation and plummeting temperatures, severe weather is likely Saturday in the Gulf. Brief tornadoes, damaging winds, large hail and tornadoes are all possible for places such as New Orleans; Birmingham, Alabama; and Pensacola, Florida.